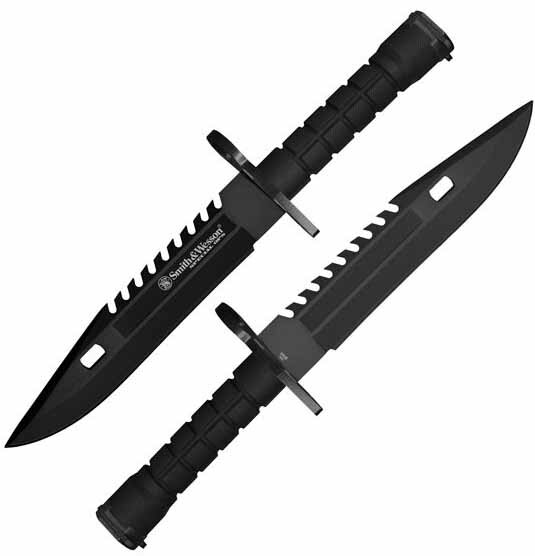 7.8 in black 3Cr13 stainless steel blade with black nylon fiber handle. Overall 12.8 in. Includes scabbard w/ sharpening stone, and black sheath.